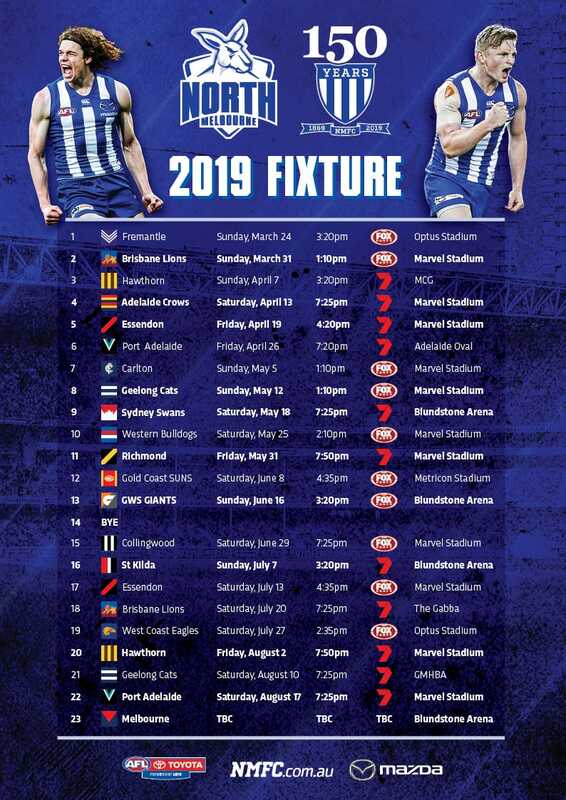 North Melbourne are off the mark in 2019, running down Adelaide at Marvel Stadium to record a welcome 9.17 (71) to 8.11 (59) victory. The much-hyped Crows, on the other hand, slump to 1-3 and their season of redemption is in serious danger of being just as fruitless and disappointing as last year. With Kayne Turner, Tarryn Thomas and Cameron Zurhaar ramping up the pressure around Brown, North's forward line belatedly thrived after repeatedly squandering opportunities in the first half. That trio combined to lay 15 tackles, many of them inside their attacking 50. Midfield bull Jed Anderson's return made a significant difference, evident in him winning a game-high seven clearances and laying six tackles. Anderson's toughness in the clinches provided strong support for dashers Shaun Higgins (30 disposals) and Jared Polec (26), while this week's inclusion Paul Ahern provided an early spark. Earlier, Crow Eddie Betts represented everything North Melbourne wished it could be. The Roos found a way not to be in front at half-time despite having more than double as many inside 50s (33-16) as the visitors. Betts had as many goals as North at that stage. The first came from a set-shot snap, the second was a mid-air strike, then the third was an audacious checkside effort from so deep in the pocket he had to ditch the Gatorade seat. Usual suspects Rory Laird (31 disposals) and Matt Crouch (29) were prominent from go-to-whoa, but most Crows were down on the night. North Melbourne: Defenders Jasper Pittard (calf) and Luke McDonald (calf) both spent time off the ground receiving treatment in the second quarter, but returned to the field. Adelaide: Top-10 draftee Chayce Jones' night was over at quarter-time. He missed a set shot shortly before the first break after Luke McDonald made late and high contact to him in a marking contest. McDonald conceded a 50m penalty for his actions. Brad Crouch (broken nose) also came from the field for an extended period in the third term after an accidental hit from Cameron Zurhaar. Tom Lynch (corked thigh) was off briefly in the opening quarter. 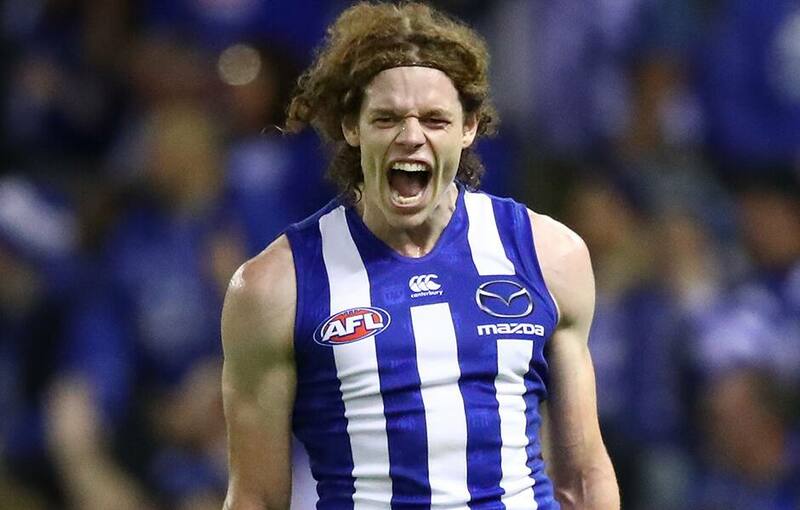 North Melbourne enters its annual Good Friday contest off the back of a belated victory and looking to maintain the momentum against a suddenly in-form Essendon. The Crows will be desperate for a win when they host Gold Coast at Adelaide Oval on Easter Sunday.